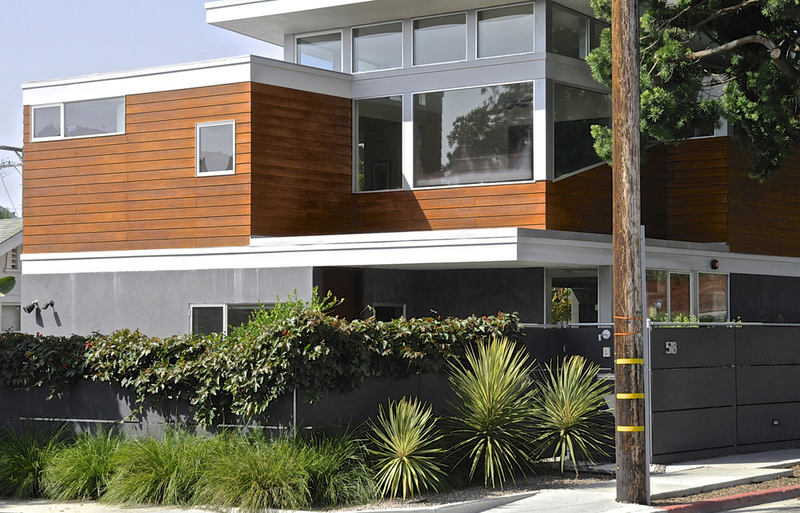 Situated on a busy street, the efficient lot of Modern on Marine need a sense of privacy all the while reserving the remaining square footage for an active, urban space. We took the existing fencing and changed it as it circulates around the site. 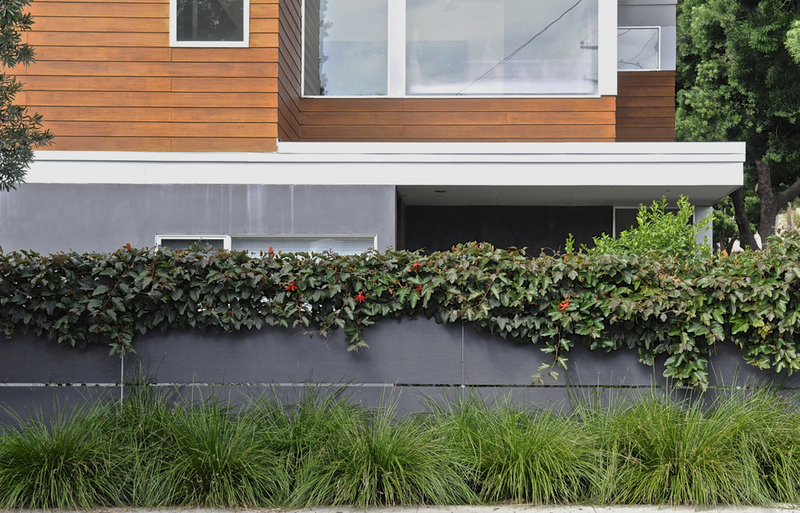 It morphs from a simple fence into a trellis with ever-flowering passion flower vines integrated to soften the space while still maintaining the defined lines of the modern building and site. 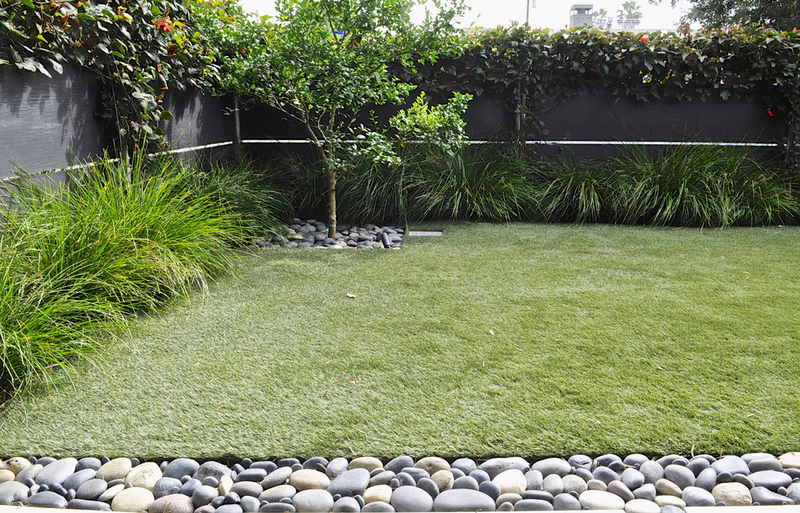 Small artificial turf lawns, bordered by lush lomandra and large citrus trees act like carpets for family playtime. 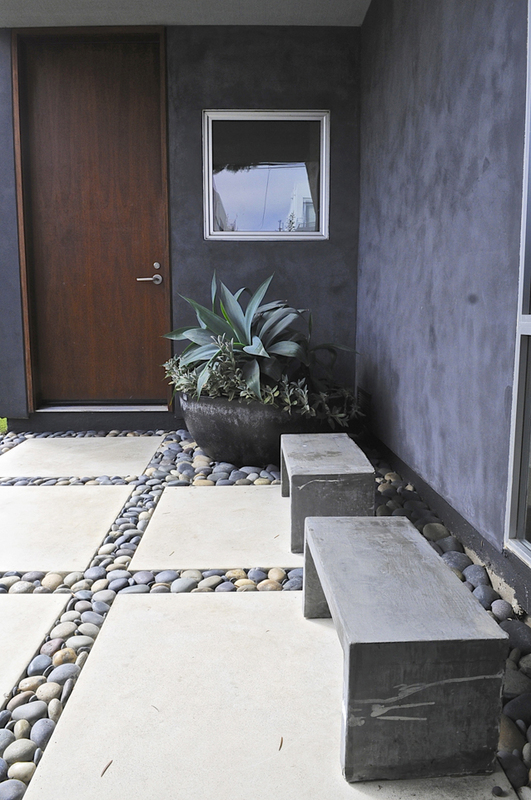 The narrow sidewalk is extended visually into soft stones punctuated by dramatic cordylines.